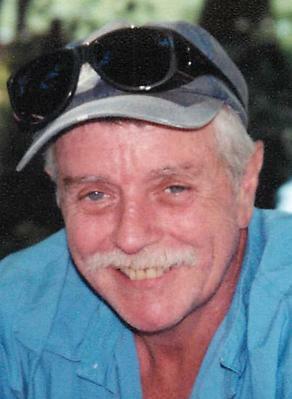 Edward W. Glynn, Jr., age 68 years, of Clementon, NJ passed away on September 4, 2014. A devoted husband, father and grandfather whose love of family was apparent to all who knew him. His greatest joy was having his children and grandchildren by his side. A quick wit and sense of humor were always a source of laughter to family and friends alike. He enjoyed the simple pleasures of life and possessed a true spirit of humility, always eager to lend a helping hand when called upon. Edward served in the United States Army during the Vietnam Conflict from 1965 to 1967. A carpenter by trade, he was a member of New Jersey Carpenter Union, Local 255. His arduous battle was fought with incredible courage right until the end. He will be so very missed by all who knew and loved him. Edward is survived by his loving wife, Linda M. (nee Slaughter), his children, Jennifer Glynn Eby and son-in-law Craig of Dillsburg, PA, Kimberly Ann Keller of Blackwood and Joshua Tyler Glynn and daughter-in-law Shaye of Hamilton, NJ. He is also survived by his 7 awesome grandchildren; Rebekah, Adam, Rachel, Lauren, Jacob, Madelyn and Liam, along with his brother, William Glynn and sister-in-law Nora of San Diego, CA. Relatives and friends will be received by the family on Sept. 20th from 9:30 to 11:00 am at THE FUNERAL MANOR, 1585 Hider Ln., Twp. of Gloucester. A Memorial Service will be held following visitation at 11:00 am at the funeral home. In lieu of flowers, the family requests donations to be given in his name to the Bethel Christian Center, 1583 Blackwood-Clementon Rd., Blackwood, NJ 08012. Please designate FOOD BANK DONATION in the memo portion of the check. For more information and condolences, please visit www.thefuneralmanor.com.